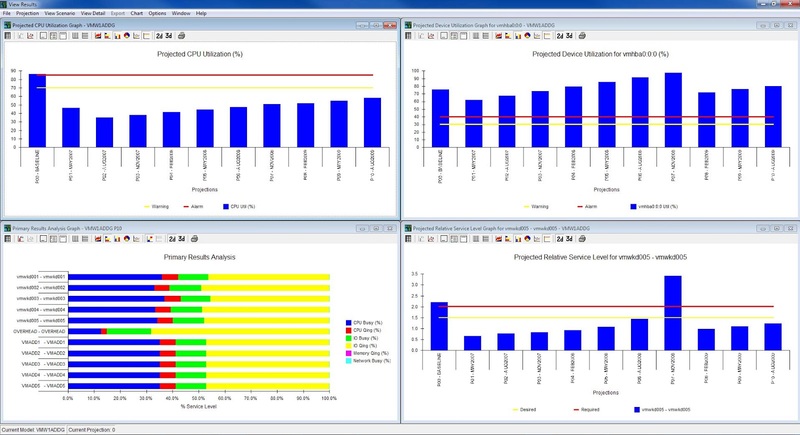 In my opinion there are four main techniques that are used in forecasting: analytical modeling, simulation modeling, trending and headroom charts. · Calibration of model – Does it match real life? • Low cost modeling technique, as you’re able to take the data and apply it going forward without making costly mistakes. The graph below illustrates how this can be considered, always taking in to account how the ‘end user’ will be affected. There are many organizations such as Wall Street companies, who feel the need to run simulation models but it does take longer to set up and can be very costly. With trending you are usually looking at one metric for each chart, this doesn’t prohibit you from having several charts looking at different metrics for the same scenario. The more data that you have to feed in to your trend chart then the more confidence you can have in the end result. On Wednesday I'll be taking a more in-depth look at Trend types.